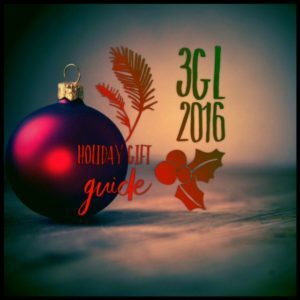 It’s holiday time, and you know what that means: the 3 Geeky Ladies Holiday Gift Guide. Apple Gift Card because Super Mario Run arrives December 15th!! This entry was posted in podcast and tagged Amazon Dot, Ancestry, Apple gift card, Apple TV, aroma therapy, Backblaze, Bose, David's Tea, Essio, Etsy, Fitbit, Fujifilm Instax Share, Holiday gift guide, HP Sprocket Printer, Limo Studio, Nomad Key, Prop 'n Go Slim iPad Pillow, Roku, Sonos, speakers by Elisa Pacelli. Bookmark the permalink.